The fishing in southern Alaska can’t be beat. At Anglers Adventures & Outfitters, we are a private Southern Alaska sport fishing outfitter that knows the ins and outs of these waters. So, if you’re looking for a sport fishing trip guided by a local captain with 26 years of guiding experience, you’ve come to the right place! If you’re going to spend money going on a sport fishing charter, you need to make sure that you’re comfortable with the individual leading the charter. At Anglers Adventures & Outfitters, Captain Brian Ringeisen, is the best around. He earned his US Coast Guard license when he was 19 years old and is CPR and First Aid certified as well. Rest assured that you are in great hands by partnering with Anglers Adventures & Outfitters. 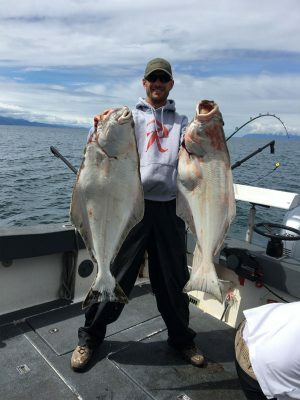 Not only does Brian have the certifications and licenses that provide you with a peace of mind out on the Southern Alaska waters, but he also knows where all of the great sport fishing spots are for you to tackle. So jump on the Sierra Dawn, a 28’ Bayline Trophy, today and let Captain Brian guide you to some big fish! For those that are more advanced at sport fishing, the full day sport fishing charter is your ideal option. This amount of time will allow you to experience all of the great fishing spots with Captain Brian. The best thing about it is that you will not feel rushed! You’ll get 8 to 10 hours of packed in fishing. This full day fishing charter is customizable, so just let Captain Brian know what you’re looking to fish for and he’ll get you where you need to be on these waters. If you are a little short on time, our half day sport fishing charter is the perfect excursion to consider. In a half day, you can still accomplish a lot of fishing out on the water, especially since your Captain is an expert on these southern Alaska waters. 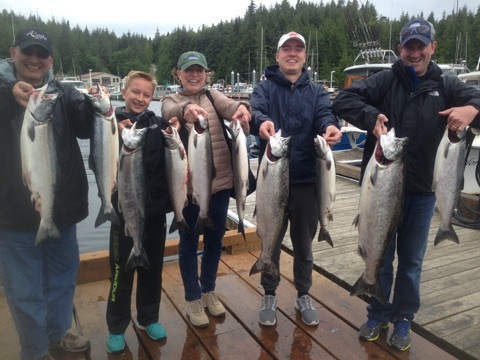 At Anglers Adventures & Outfitters, we offer half day sport fishing charters for salmon, rockfish and black & grey cod. So, if you are looking for a private southern Alaska sport fishing outfitter that offers top notch fishing, look no further than our team at Anglers Adventures & Outfitters. Give Captain Brian a call at (907) 254-0880 or email brian@anglers-adventures.com to book your upcoming fishing excursion.